Sir Thrift A lot: Thriftasaurus #114. Greetings everyone! Hope you all are having a great week so far, everything is a whirlwind over here, flying by!! I've gotten a lot of great stuff, but am unable to take photos (hence the late link up). Was anticipating being able to take photos of everything, but alas, didn't work out! I'm going to rip a few off my Instagram, so I have at least a few to share & I guess double next week!? 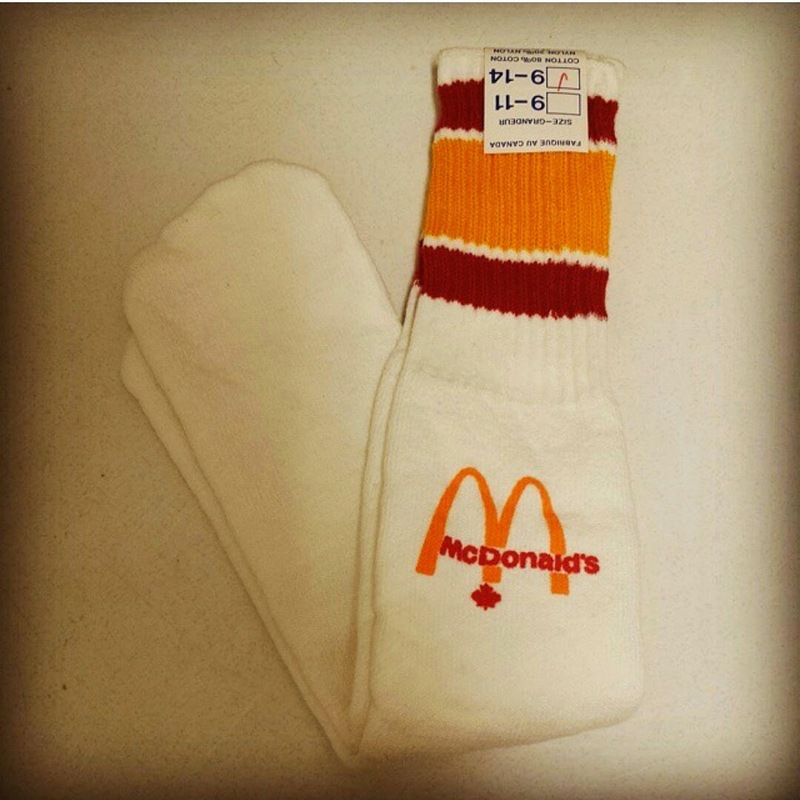 Vintage McDonald's socks! They came with a headband, hat & armbands, but they aren't so cool. Both eBay buys! Great price on these fabulous knee huggers. When I was buying some at the antique market last week, the lady at the counter was asking the BF if I had these & yup, he said I just got them. She also asked about another set, he said yup, he has it! How does he know my kneehugger collection so well!? I never new McDonalds had socks. 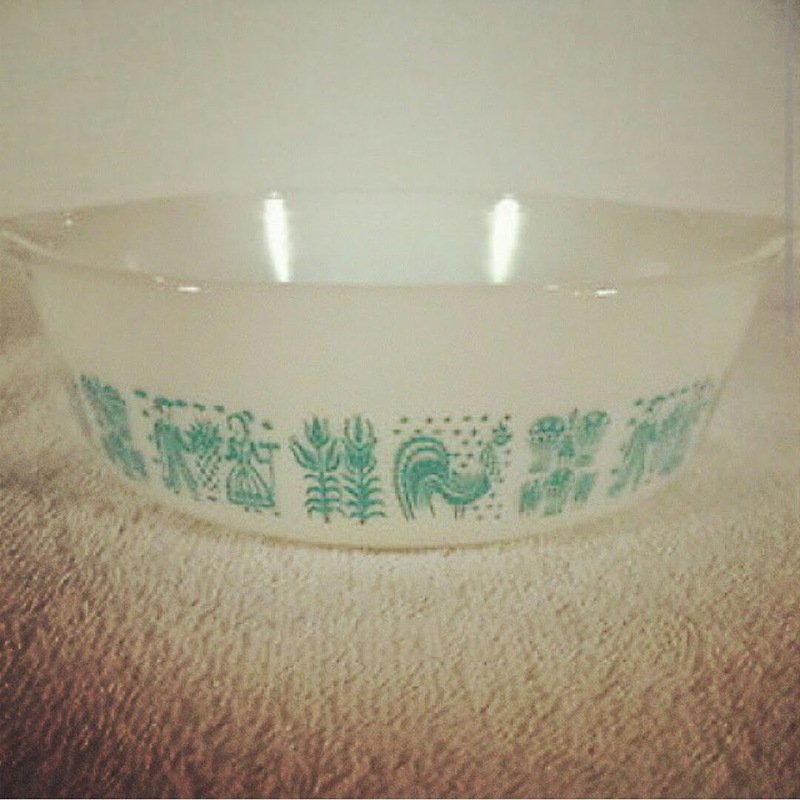 Great piece of Pyrex and I love the kneehuggers I have not found any this year. I didn't know McDonalds had socks. LOL!! I love the knee huggers. I couldn't tell you which ones were in my collection! LOL! Maybe BF secretly wants to collect them too. The socks are so funny! I thought those socks were cool until you mentioned the headband and armbands! The mind reels! Any man who knows exactly which knee huggers you have in your collection is a keeper lol. Those knee huggers are so cute!!! And those socks, well, those are pretty special!!! 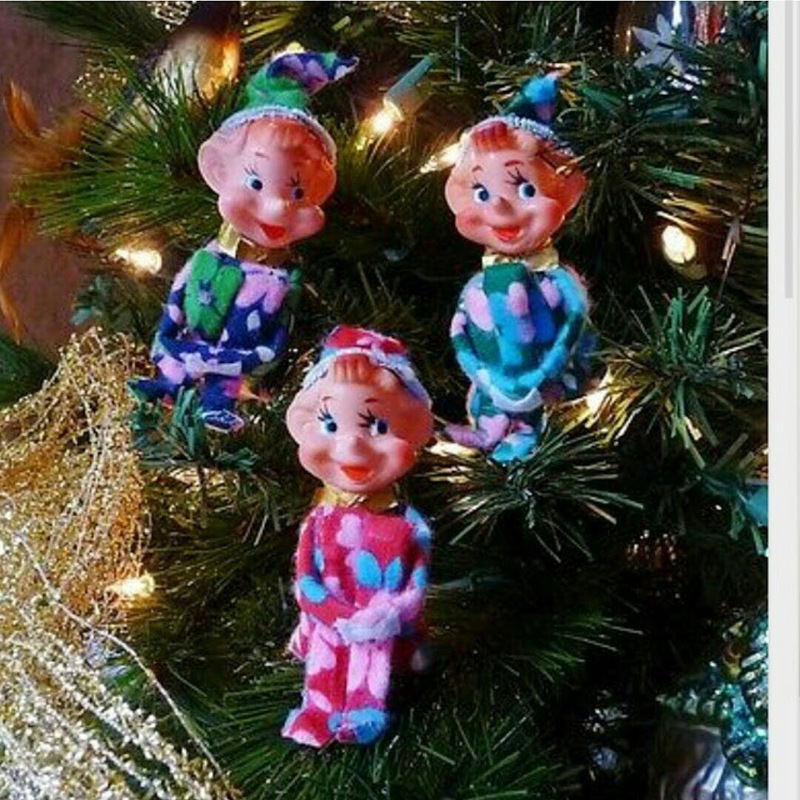 What fun finds--love the elves :) I've never seen one, here in NY. Wonder why? Thanks for hosting! Always see something old but new to me, the socks this time. Love the knee huggers. Anybody here is interested in getting a FREE MC DONALD'S GIFTCARD?